In year 2 of Sentinels of the Multiverse: The Video Game, we’re focused on increasing this second group as much as we can. While our game is by most accounts a really terrific adaptation of the card game, it’s also a really fun game on its own merits. But we do understand that lots of people aren’t willing to drop $10 or $15 on a game they’ve never tried. And so today we are happy to announce The Sentinels of the Multiverse: Learn to Play Edition! More than just a demo, this new totally free version of Sentinels is geared towards letting new players learn the game at their own pace. We’ve worked over the last few months reworking and polishing the already comprehensive tutorial based on player feedback, some analytics and also observing players in convention settings like PAX and Gen Con. This new free version of Sentinels includes the tutorial scenario of Baron Blade at Insula Primalis vs the Freedom 4 (Legacy, Bunker, Tachyon and The Wraith). You can play through this scenario with or without the tutorial, or you can choose to shuffle the hero order so that new players can see how hero order can affect the outcome of a game. This isn’t a feature or time-limited demo, besides the limited number of decks. You can play this scenario, from start to finish, to victory or defeat as many times as you like before choosing to buy the full Sentinels experience. 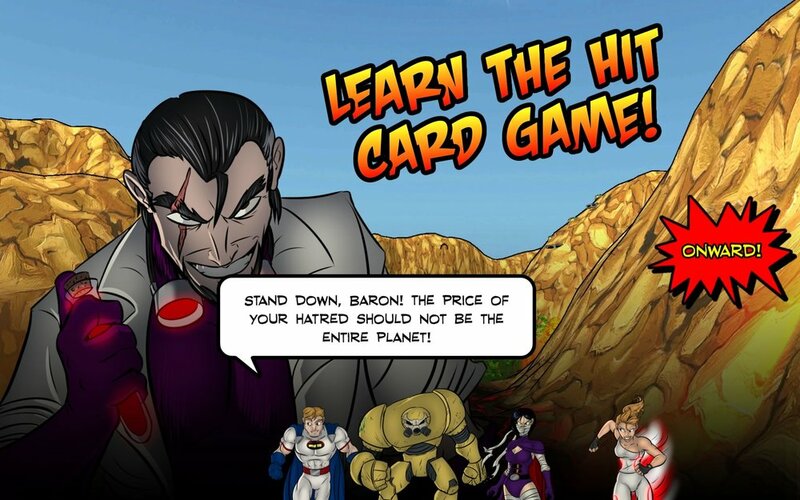 The Sentinels of the Multiverse: Learn to Play Edition is available on iTunes, Google Play, Amazon Appstore*, Steam*, or you can download Mac and Windows versions directly from SentinelsDigital.com.